Elkstone 21 offers a full-service resort setting with the intimacy and allure of residing in your own private home due to its innovative design and architecture which separates each individual residence from the others ensuring privacy and seclusion in the heart of Mountain Village, Colorado. The residence redefine Colorado mountain luxury living through modern architecture befitting any European alpine resort offering unparalleled finishes and fixtures expressed with the use of bold lines and color in the medium of metals, hardwoods, marbles and other fine stones. Take in the jagged St. Sophia’s Ridgeline as well as the entire majestic view of the San Juan Mountain Range from your living spaces which flow seamlessly onto private snow-melt decks. Retrieve your skis and snowboards from your owner’s ski locker and storage room and then walk a simple 200 paces to Double Cabins ski run to hit the slopes. Elkstone 21’s onsite concierge will arrange for all of your needs while in residence as well as prepare your home for your arrival. Mingle with other owners and additional family members outdoors in the courtyard with hydrotherapy tub in front of the 30 foot wood burning fireplace with inviting furnishings or enjoy the owners lounge with Wi-Fi and HDTV. Other amenities owners appreciate are the Precor® cardio fitness center, wine cellar with temperature controlled private storage bins, private-elegant meeting facility room, heated underground garage with reserved parking spaces including snow melt walkways and driveway. Walk right out your door and experience stand up paddle boarding or fishing off the dock on Elk Pond in the summer or walk a short distance to the easy access skiing on Double Cabin Ski Run in winter and in summer it offers quick access to mountain biking and hiking trails. 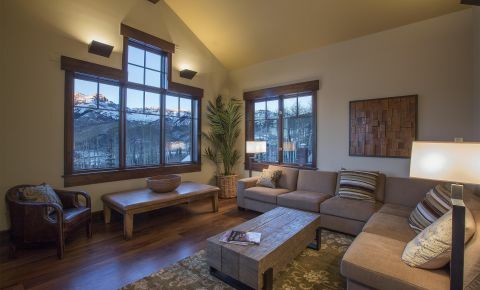 With only a few developer condominiums left, there is still an opportunity to get into this exceptional Mountain Village new development at below build cost. Beautiful, sophisticated luxury at Elkstone 21 Condominiums.